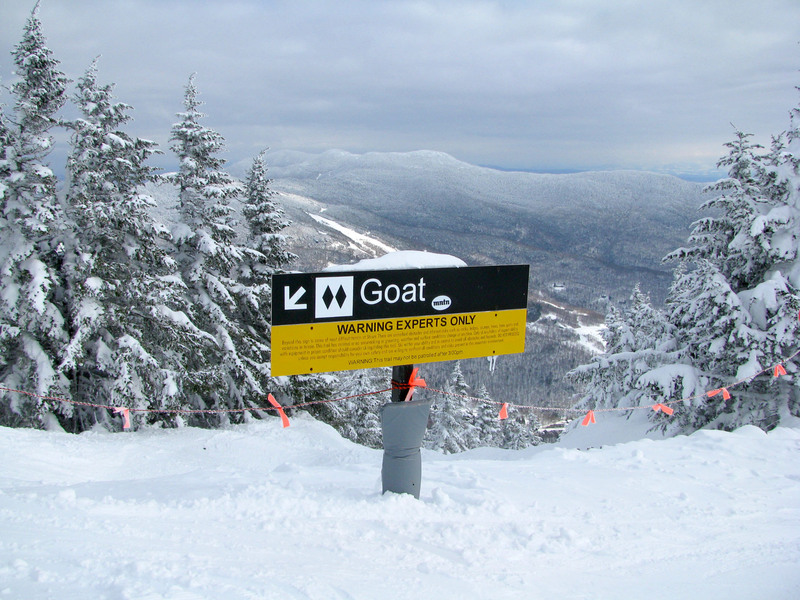 This might sound cheesy, Vermont cheddar cheese joke, but we find Vermont skiing to be romantic, invigorating, fresh and fun. 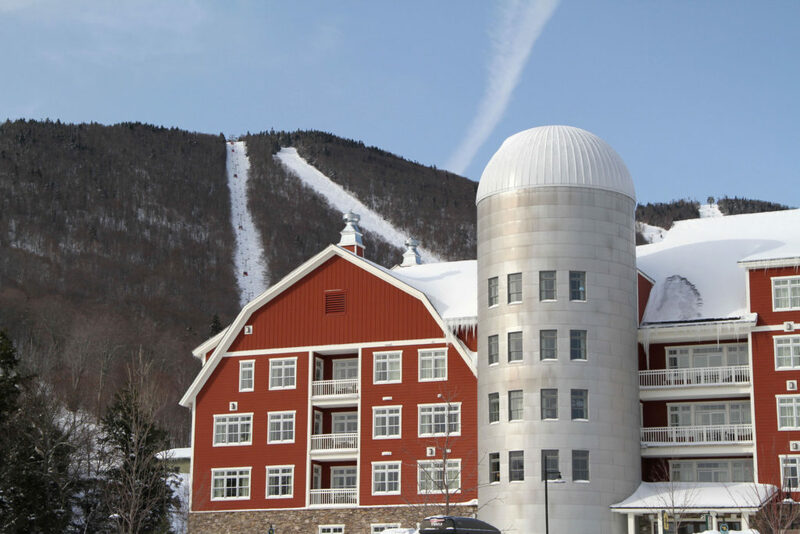 Stay in a luxury inn or a slope side mountain hotel, ski by day in the Green Mountains blanketed in white snow, then après ski at brew pub or a fireside inn, enjoy a spa, a local sourced dinner from Vermont farms. 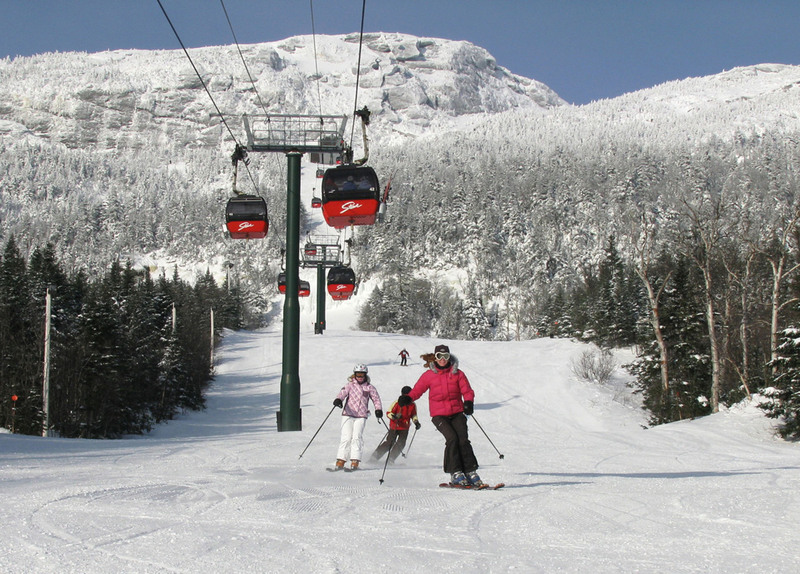 Vermont is the perfect meld of homespun and upscale, with gorgeous scenery, friendly people and the biggest mountains in New England skiing. Here are our top Vermont ski resorts with luxury lodging, charming villages, and the best ski terrain. 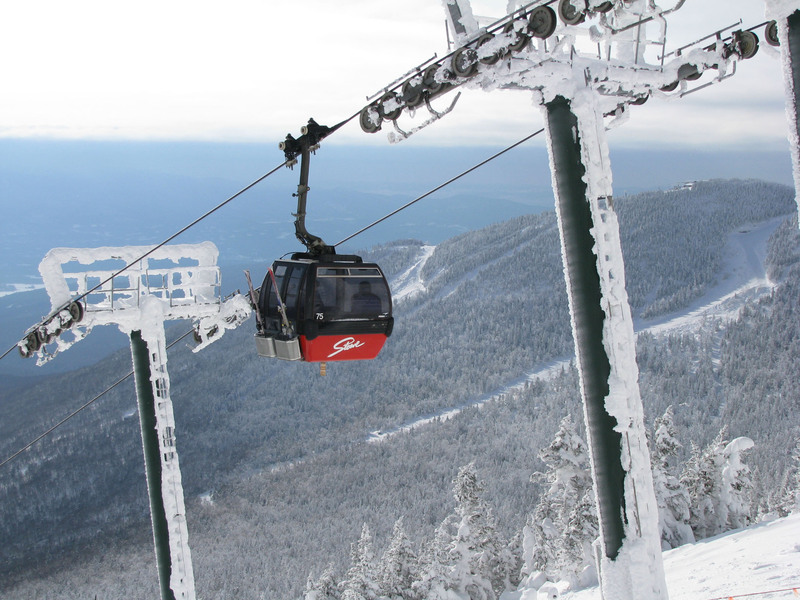 Stowe is the Ski Capital of the east, and the most luxurious ski resort in New England. 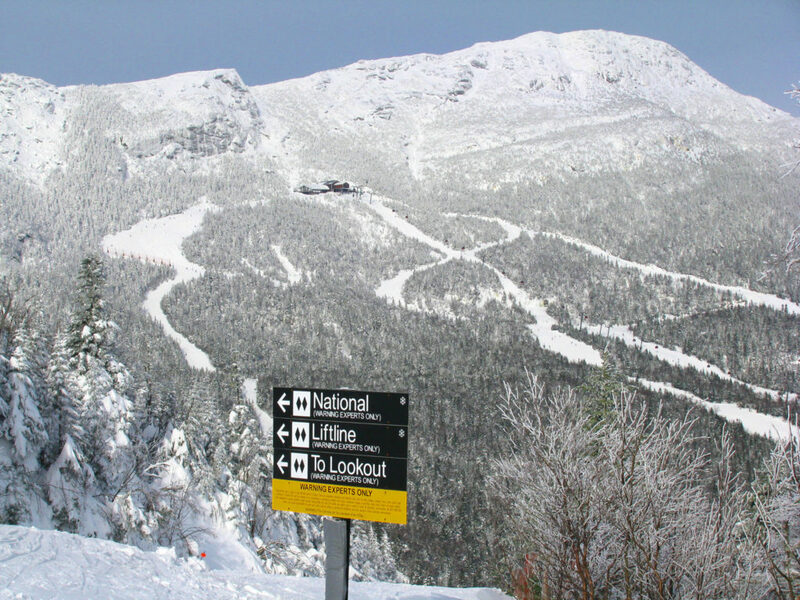 We love the classic steep and time-honored terrain on Stowe’s Mt Mansfield, and the beautiful mountain village at Spruce Peak anchored by the Stowe Mountain Lodge and Spa – which feels more Beaver Creek Colorado than Vermont. 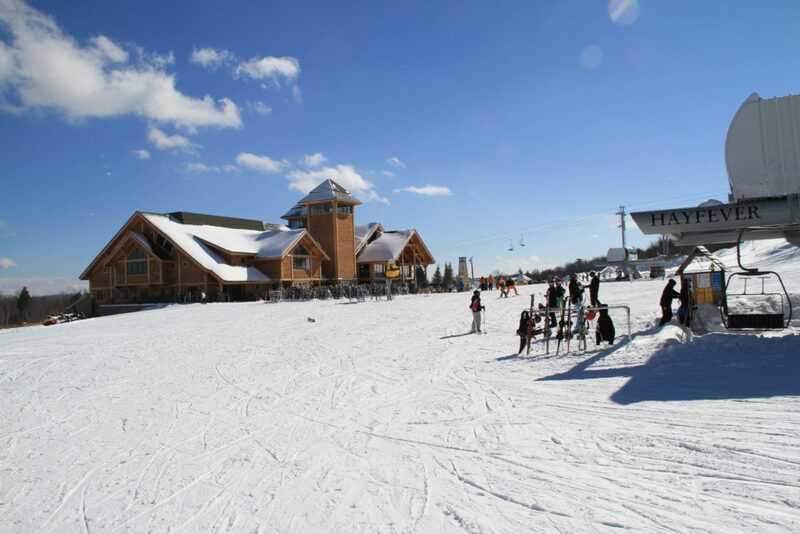 This is a “grand ski hotel” with ski valet, concierge, full service spa, and you are steps to the lift and the centerpiece ice rink. 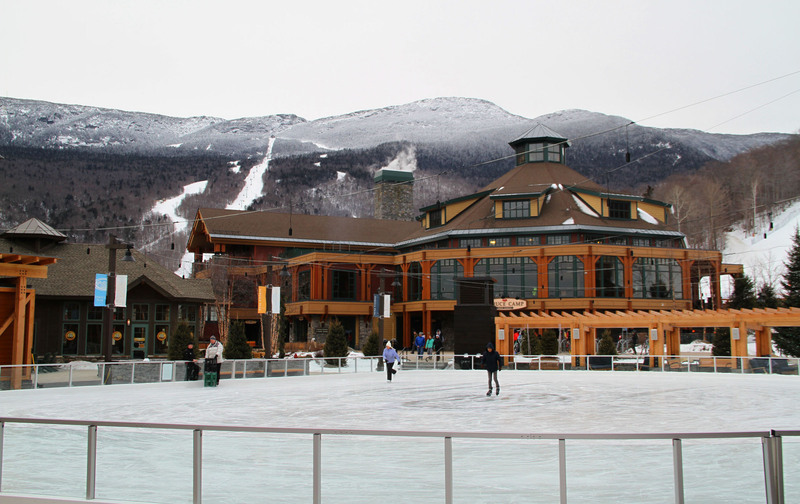 Après ski enjoy the Hourglass bar, the spa, of visit tour the charming town of Stowe and all the Mountain Road shopping, and dining in Stowe Village – which dates back three centuries. 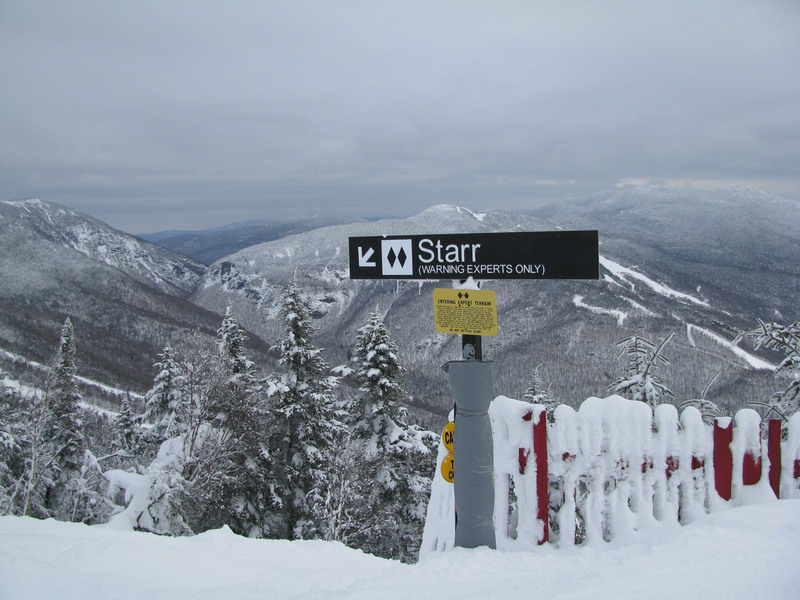 We find Stowe romantic and challenging for a ski vacation, maybe because it was the sight of our first ski date. We love Stowe. 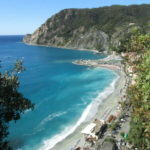 Hermitage Club is a private ski club, the only exclusive skiing membership resort in the East. 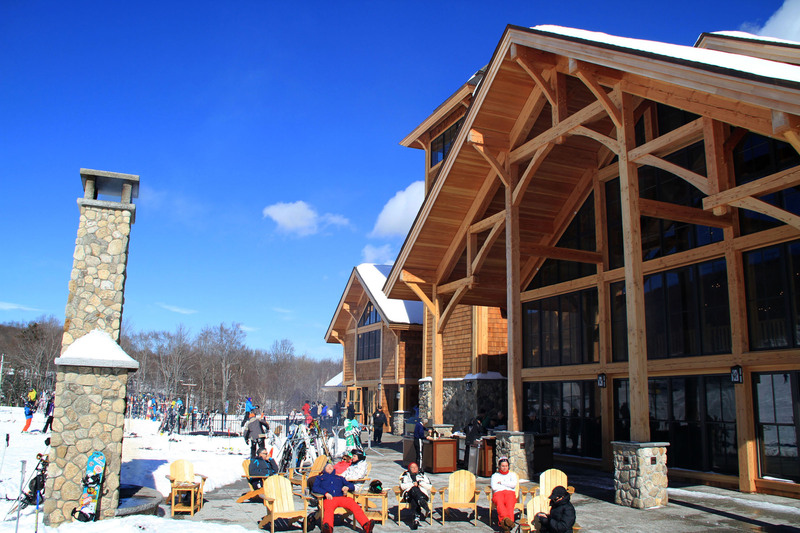 With 1500 members vested in this Vermont resort community, on Haystack Mountain, privileges include a magnificent Clubhouse, concierge service and ski valet. Like the Yellowstone Club of the East, this ski resort offers the well-heeled in ski boots a place to play and belong without lift lines or crowded base lodges, instead its high speed lifts and beautiful lodges, and residences. Stay tuned on the future of this elite ski club, now in bankruptcy due to a corrupt owner, similar to the founder of the Yellowstone Club. 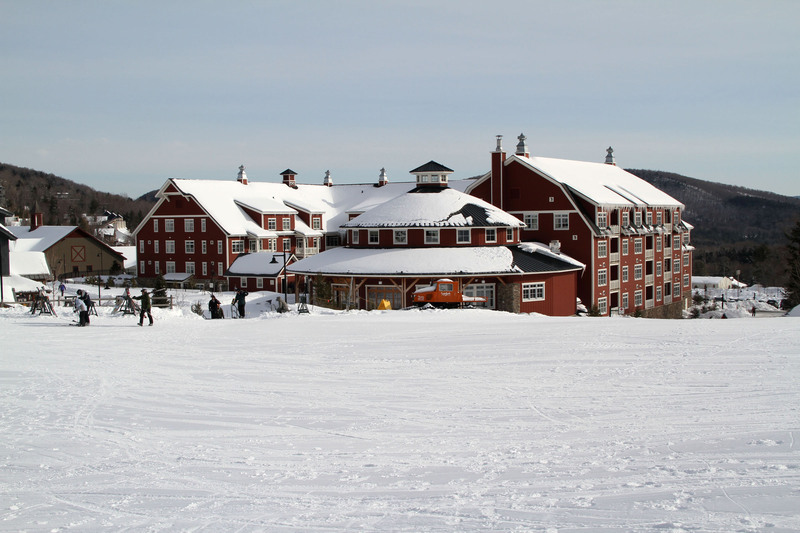 When Hermitage is black in the black, you may want to be white-corduroy members at New England’s exclusive ski and golf resort Hermitage in Vermont, near Mount Snow. Sugarbush is a legendary ski resort, once the cool ski place for celebrities and extreme ski film stars, now this Vermont ski resort still rocks with great terrain – from earthy Castlerock to beautiful groomers and tons of glades. The Village at Lincoln peak has everything a ski family needs – The Clay Brook Hotel with ski in ski out suites, steps to the lifts, the spa and pool, après ski, and Timbers restaurant for après ski drinks in your ski boots. Sugarbush’s best b&b is The Relais and Chateaux Pitcher Inn in Warren – with luxury decorated suites – each with its own personality just minutes from skiing – but worlds away. Ask for the Ski Room. 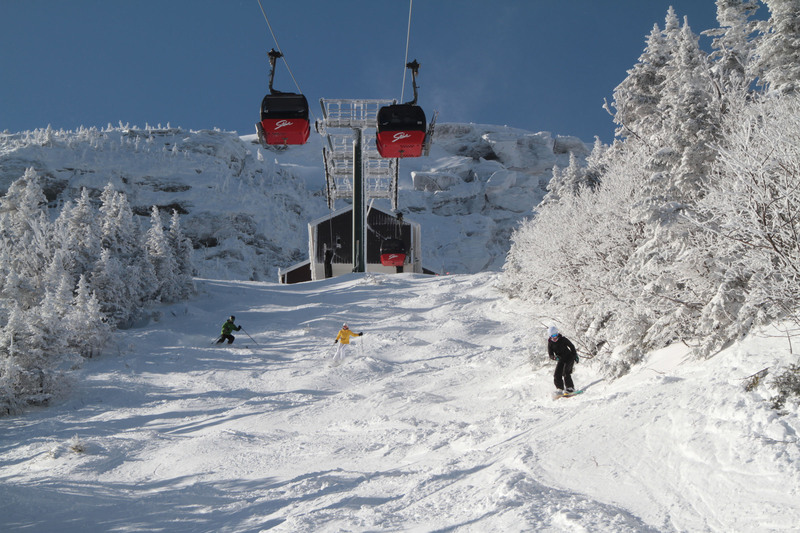 Pitcher Inn and Sugarbush ski resort share the same owner – former Wall Street tycoon Winn Smith, whom you will see out skiing, first tracks with guests via his Lincoln Limo snowcat perhaps, or moonlight skiing after a chef’s dinner on the mountaintop at Allyn’s Lodge. The Pitcher Inn is authentic and special from the suites to the cuisine, in fact each room is unique – ask for The Ski Room! 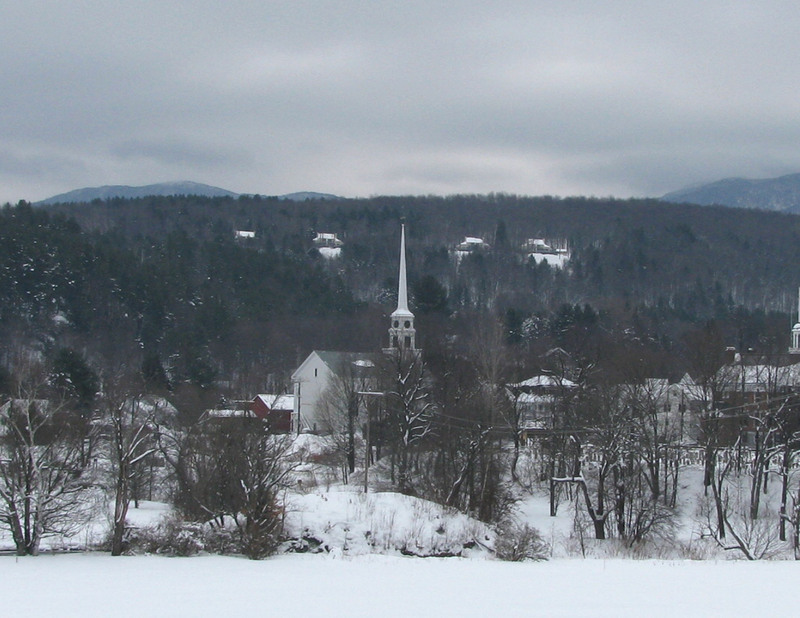 Sugarbush in the Mad River Valley is cool, cozy and quintessential Vermont. 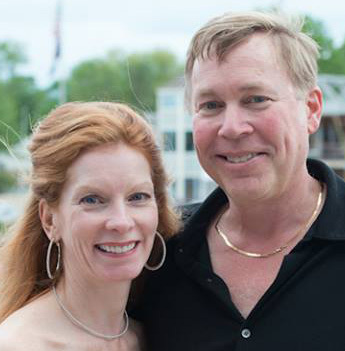 Visit Sugarbush’s best ski shops (Sportiv is our favorite for elegant European ski clothes), and Vermont country stores in Waitsfield too. 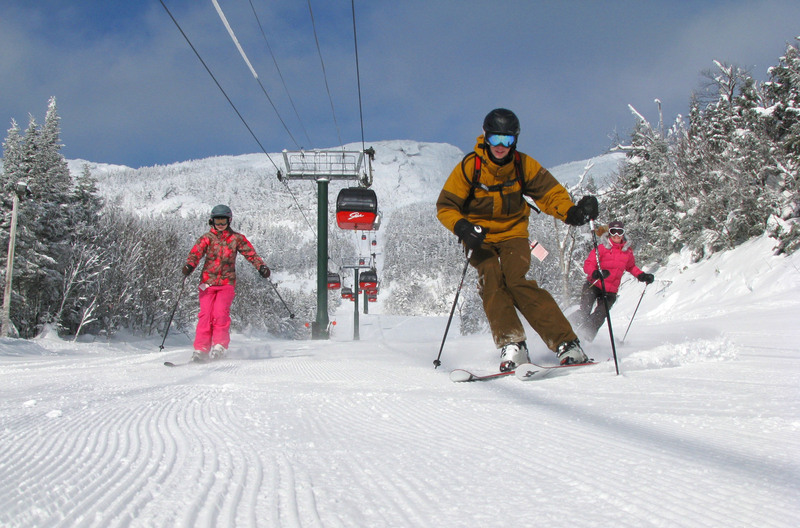 Okemo Mountain Resort is the best ski resort for families and foodies in Vermont. Located in central Vermont, Okemo has well groomed trails like World Cup, fierce snow making but a frienldy staff, and lovely views of Ludlow Valley … along with some of the best on mountain cuisine in ski country. Stay at the massive mountain hotel – The Jackson Gore Inn has hotel suites with fireplaces. Jackosn’ Gore’s lobby has a great bar, with field stone fireplace, Wine Room and Tavern for dining, and an outdoor heated pool & hot tubs. Resort amenities include covered ice skating in the Ice House, and indoor swimming all winter in the Spring House. 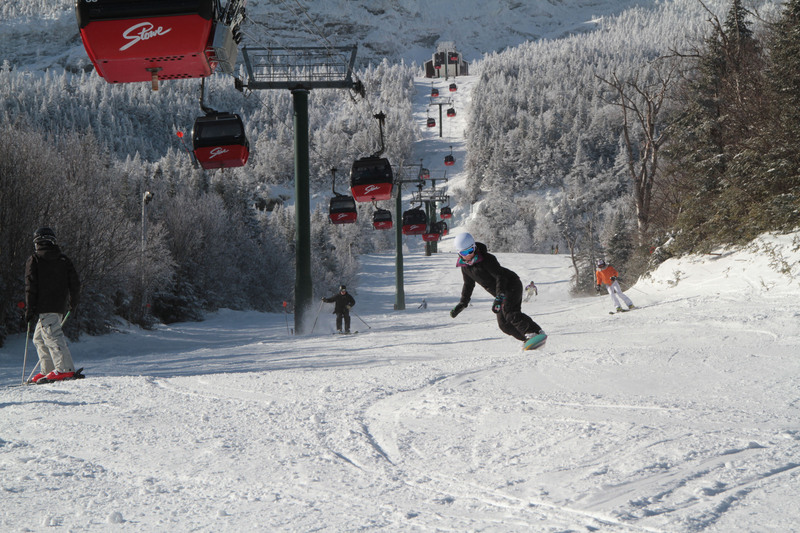 See our review of an Okemo ski vacation. Off mountain, The Castle Hill Inn and Spa in Ludlow is a luxury place to stay (ask for a room in the castle) with a gorgeous Aveda spa, and stunning views of Okemo’s ski trails from your elegant suite. 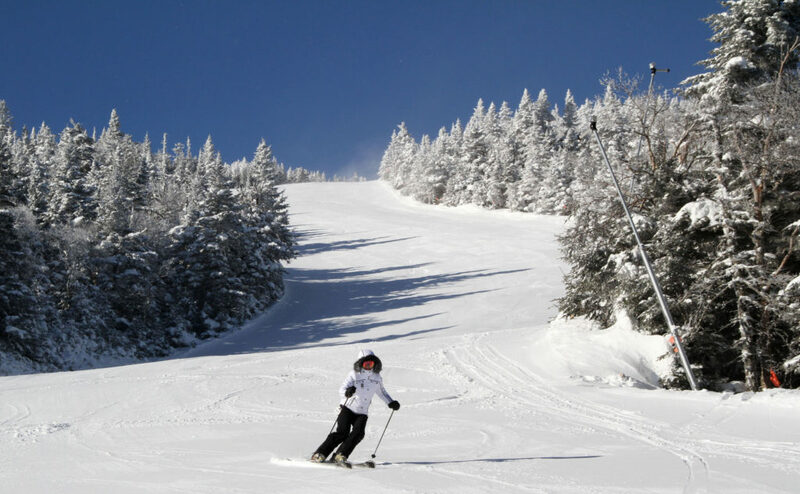 Those are our top luxury Vermont ski vacation reviews for luxury mountain hotels, great skiing and après ski.